Screen or pad printed with your promotional logo, the Oliver Ballpoint Pen is sure to complement your event, with metallic finish and funky styling. 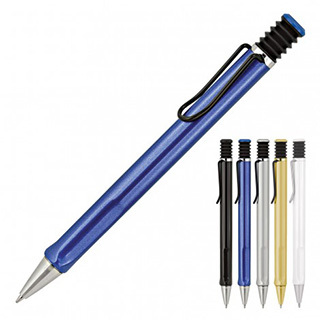 The push button, retractable ballpoint is housed in a contemporary frosted barrel, ideal for that corporate gift pen. Black ink from a quality refill (1.0mm nib).